Unlimited high-flying fun awaits in the Ultra-Stealth Nano Drone – the world’s smallest quadcopter, and your new favorite flying toy. 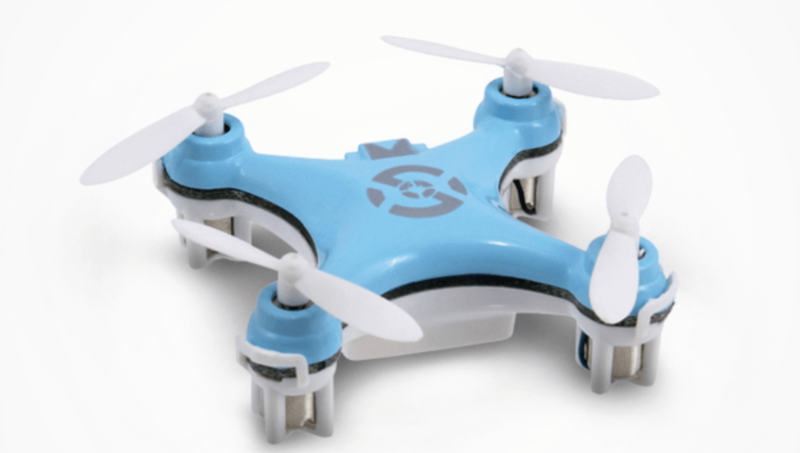 This tiny quadcopter is small enough to rest on the tip of your finger, and can easily maneuver through small spaces with acrobatic finesse – and with eight frequency points, it won’t disturb or crash into its fellow aerial vehicles, so you can command your own flying army of microdrones! For a limited time, TNW readers can get one for just $19.99 plus free shipping to the continental U.S. – that’s 50 percent off MSRP, the lowest price on the web. The Ultra-Stealth Nano Drone offers a gentle learning curve, so even if you’ve never flown a drone before you’ll be stunt-flying in no time. It boasts Ready to Fly Technology (RTF) with enough sensitivity to allow users to easily control the drone even in the tightest spaces. With a six-axis flight control system as well as adjustable gyro sensitivity, you’ll soon learn to effortlessly spin, flip, do aerial dives. Pair it with others to fly in a pack! For such a tiny device, the Ultra-Stealth Nano Drone packs a huge amount of fun. Get one for $19.99 today from TNW Deals. The world’s smallest camera drone takes fun to new heights with 2GB memory for your high-flying aerial video action! Give your friends some UFO speculation fun with the drone’s included LED lights, perfect for night flying. Now just $34.99 on TNW Deals.